Forty years on, rare behind-the-scenes footage from the Storm Boy shoot shows the team effort involved in making this magical film. Shot during the production of Storm Boy, the documentary The Crew was produced by the Australian Film Television and Radio School (AFTRS). In the excerpts below we see interviews with members of the film crew about their roles and responsibilities on set. Sandwich, Carpenter and Dum Dum - the three pelicans who played Mr Proud, Mr Ponder and Mr Percival in Storm Boy - were raised from chicks by a dolphin trainer, Gordon Noble. They couldn't hire a pelican trainer because there were none; pelicans had never been trained for a film before. The first pelicans they tried to train flew away, so they had to start over again. Noble lived with the pelicans for nine months in the lead-up to the shoot and taught them them tricks (such as catching a ball) which they repeated for fishy rewards. In the excerpt below we see Noble at work. Production designer David Copping says of his role, 'Personally I accept responsibility for just about everything visual'. We see stand-by props person Ken James at work, and Jennifer Zadow talks about the wardrobe challenges on the film. Director of photography Geoff Burton explains the importance of make-up, even for a film like Storm Boy that requires a very natural look. Most wardrobe ladies have the job of keeping clothes clean. I have the job of keeping them dirty and in a sufficient state of disrepair, complete with fish scales. 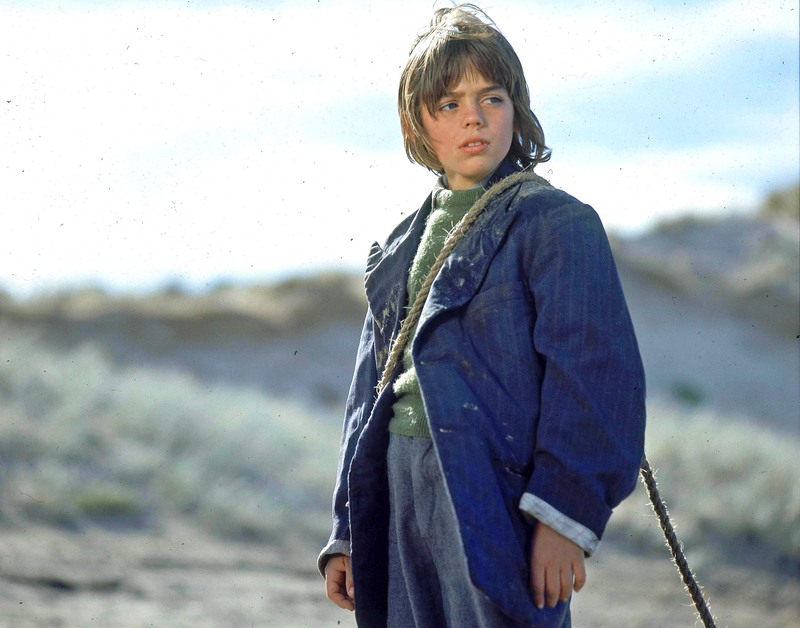 To see a clip showing Greg Rowe (who played Storm Boy) working with his dialogue coach, legendary stunt advisor Grant Page shooting pelican point-of-view flying sequences and behind-the-scenes of the shipwreck scene, visit the Storm Boy curated collection. As well as the curated collection, we're celebrating 40 years of Storm Boy with an online exhibition. See more behind-the-scenes materials, interviews with Greg Rowe and David Gulpilil interviewed on The Mike Walsh Show, and listen to a 2016 interview we conducted with Greg from his home in Toronto.